This list includes important facts, events, assassinations, and battles from the Three Kingdoms Period. The Three Kingdoms Period is one of the most well known, and bloodiest periods of Chinese history. It was ignited by a series of bloody rebellions, and created power gap which multiple warlords tried to fill. After countless battles killing millions of people, the country was eventually split between three kings, Sun Quan, Cao Cao, and Liu Bei. Years of fighting ensued between them until the period finally came to it’s surprising end. 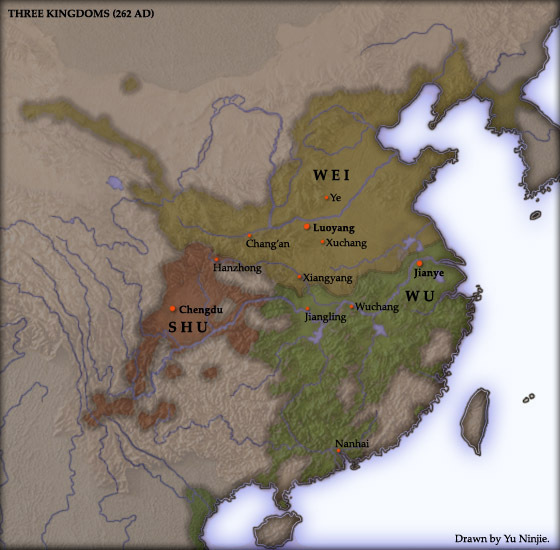 The Three Kingdoms Period started with the Yellow Turban Rebellion in the year 184 AD and lasted until 205 AD. 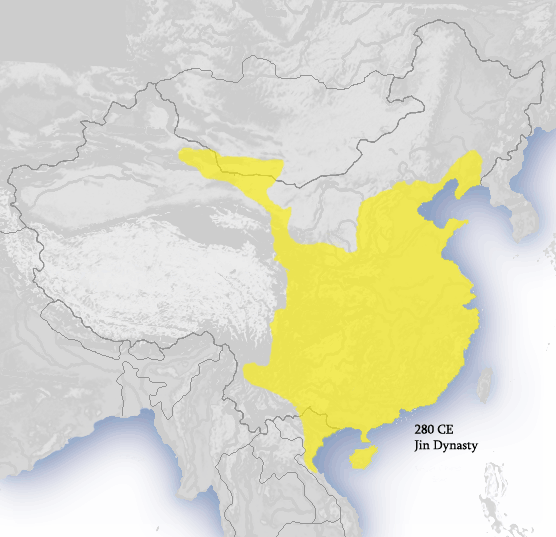 Eventually the rebellion was suppressed but it weakened the reigning Han dynasty significantly. This is because the current emperor decided to solve the problem by giving more power to a group of people called the inspectors. Although the rebellion was suppressed it was a short sighted strategy as some of the inspectors abused their new power, and turned against the Han. One these inspectors was known as Dong Zhuo. He was an opportunist who kidnapped the emperor while he was still a child, and made him a puppet of his will. Eventually Dong Zhuo was faced with a giant coalition army intent on ending his corrupt regime. 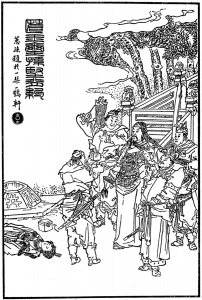 Eventually Dong Zhuo was defeated after being assassinated by his bodyguard Lu Bu. Although the tyrant was gone, they hadn’t restored the Han, instead a new dictator was in charge named Cao Cao. The Han had completely lost it’s power but still reigned on paper. 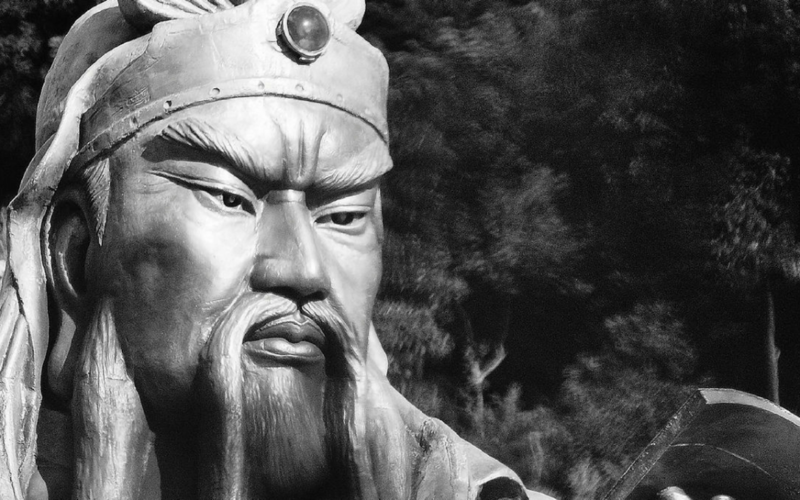 Cao Cao was the one who was really in charge, and the emperor was his puppet. 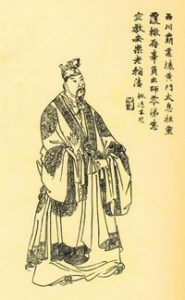 However Cao Cao was a political, and military genius, and wouldn’t be deposed as easily as Dong Zhuo. Cao Cao got embroiled in a conflict between Yuan Shu, Tao Qian, Lu Bu, and Liu Bei. Cao Cao forced the Yellow Turbans to surrender in 192, drove Yuan Shu to the south of the Huai River in 193, heavily damaged Tao Qian in 194, defeated Liu Bei in 196, and killed Lu Bu in 198. 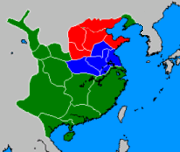 After all this Cao Cao had gained large territory in the North China Plain. Cao managed to come into contact with the Emperor, in 195, who was fleeing Li Jue, who most likely wanted to use him as a puppet. The emperor was looking for a loyal subject to protect him, and Cao Cao was more than happy to pretend to be that subject. After establishing the court Cao Cao had managed to make the emperor his puppet. Cao Cao was one of the most powerful warlords in China now, and a battle with one of the other most powerful warlords was inevitable; this was the Battle of Guandu. 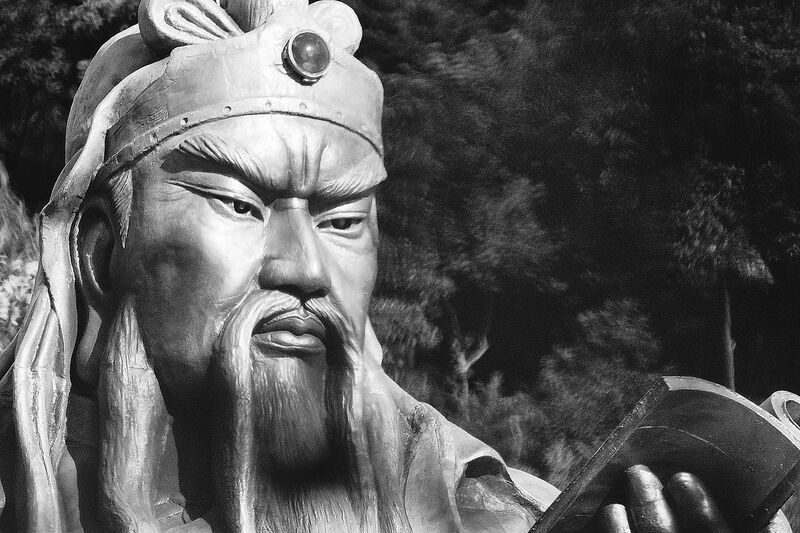 Cao Cao marched with 40,000 troops against Yuan Shao who had almost three times as many troops. Cao Cao dominated the battle and won a decisive victory over Yuan Shao. A fire attack on Yuan Shu’s supplies played a large part in this victory. Without supplies the larger army collapsed easily. The battle was a stalemate for a long time. Neither side could make any leeway for about half a year. Cao Cao almost retreated but was convinced not to by one of his subordinates. Cao’s forces were low on supplies, which is why he considered retreating but he thought of a better idea instead. It was brought to his attention that Yuan Shu was also low on supplies, and so he decided to raid his supply base. 5,000 troops dressed up as reinforcements for Yuan Shao and attacked the base; leaving it in flames. By the end of the year 207 Cao Cao had gained control of the whole North China Plain. He even had half of china’s population under his control. There are three main players during the three kingdoms period, one of them is Sun Quan of Wu. Sun Quan came to power after both his father, and his older brother were assassinated. Sun Quan was only 18 when he took power but quickly gained the respect of those under him. He began expanding to the west in 203. 5 years later he had gained control of the area south of the Yangtze river, and achieved naval dominance over the river. He had achieved much but knew he would have to deal with Cao Cao at some point. Jing was a large territory located in the centre of China. It was an important strategic position. 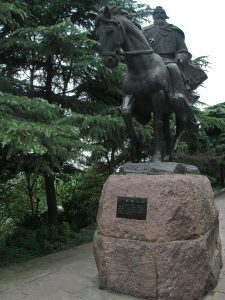 Liu Biao was in charge of Jing, and also a relative of Liu Bei. Liu Bei was currently living with Liu Bei, after seeking refuge from Cao Cao. While staying in Jing, Liu Bei managed to come into contact with a famed strategist known as Zhuge Liang. So far Liu Bei had been attempting to free the emperor from Cao Cao’s grip but failed at every turn. However his luck would begin to change after coming into contact with Zhuge Liang. When Cao Cao’s armies marched on Jing, Liu Biao quickly surrendered but Liu Bei refused to give in. 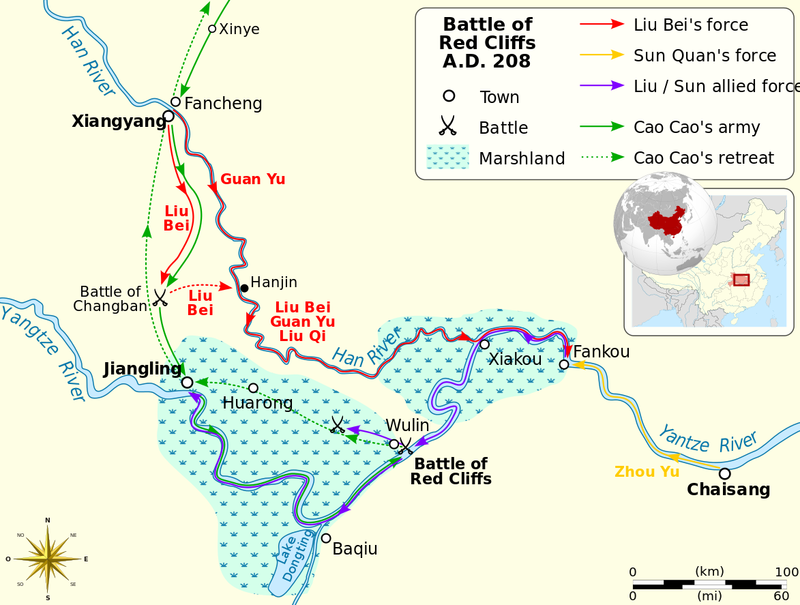 Liu Bei held his ground at the Yangtze river against Cao Cao but was defeated and forced to retreat. He fled to Sun Quan, who he hoped could help him defeat Cao Cao. Cao Cao moved to invade Wu, claiming to have an army of 1 million people. Sun Quan was pressured by his advisers to surrender to such a large force, knowing he would probably be treated well. Sun Quan refused to bow to Cao Cao, and instead to ally with Liu Bei, and Zhuge Liang. Together they had only 50,000 troops. With such small numbers it was inevitable they would end up losing to Cao Cao, but they weren’t going down without a fight. Cao Cao’s fleet met the Wu fleet on the Yangtze River. The Wu forces launched a devastating fire attack against the much larger fleet. Cao Cao’s soldiers were mostly from the north and weren’t used to sailing. To avoid them feeling seasick Cao Cao had chained the ships together, which stopped them from rocking so much. Although this seemed clever at first, the Wu forces exploited this to their advantage. They set his ships ablaze, and the fire quickly spread as they were all stuck together. Cao Cao’s men were also incredibly sick from the long forced march they had to go on. Amazingly Wu forces managed to force the much larger navy into defeat. The Battle at Red Cliff was Cao Cao’s chance to unify China under his rule once and for all. Failing here meant that the land would eventually be split between three people, Cao Cao, Sun Quan, and Liu Bei. Liu Bei eventually managed to gain vast territory, much to the dismay of Sun Quan. This is when the country is fully split between three kingdoms, which is how it gets it’s name the Three Kingdoms Period. The country was split into a stalemate between the three kingdoms. Each one knowing that if they make the first move to invade one kingdom, their undefended homeland will be attacked by the other. Cao Cao died in 220, and his son Cao Pi declared himself emperor. Liu Bei invaded Wu out of outrage over them killing his general, Guan Yu. He launched an attack againt Wu with ended in utter defeat. Shu was defeated by Wu general Lu Xun, who launched a fire attack against their troops. Liu Bei died not long later. His son Liu Shan inherited his territory, but allowed Zhuge Liang to act as regent. Liu Shan succeeded his father and became emperor of Shu, Cao Pi had already declared himself emperor of Wei after his father’s death, and Sun Quan declared himself emperor of Wu. There were now three new emperors, and empires. Zhuge Liang launched a series of Northern Expeditions against Wei. Each of these expeditions failed. This is partly because they had lost Jing, which made it difficult to establish supply routes. Zhuge Liang was bested by Wei strategist Sima Yi, and was forced to retreat multiple times. Sima Yi’s forces managed to kill Zhuge Liang at the Battle of Wu Zhang Plains. When Sima Yi realised he was dead, he quickly pushed the offensive but was pushed back. Shu now had little hope of ever conquering Wei. Wu prospered under Sun Quan. He managed to quell rebellions from the Shanyue, and conscripted them into the army and workforce. The increased soldiers made them more able to defend against We’s constant assaults, and the increased manpower made their economy flourish. Shu slowly became more corrupt as eunuchs gained more influence, and had no major success against We. They were invaded by Cao general Deng Ai, who force marched his troops through an area which was originally believed to be impossible to pass through. Deng Ai defeated Shu and forced them to surrender. 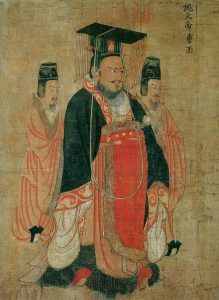 Wei emperors mostly had short lives, and eventually their power was usurped by the Sima Clan. Descendants of Sima Yi took power and declared the Jin dynasty only 40 years after Cao Pi had declared the Wei dynasty. Jin now only had to deal with Wu. Although Sun Quan was a brilliant ruler, his son wasn’t so great. As soon as Sun Liang ascended to the throne, Wu began a steady decline. As Wu became weaker over time it was only inevitable that Jin would launch an invasion. All of Wu’s famous and most skilled general had died, and no one was competent enough to defend against Jin. Jin launched a five pronged attack with completely overwhelmed the Wu forces. Sun Hao surrendered, and Jin had successfully unified the country.